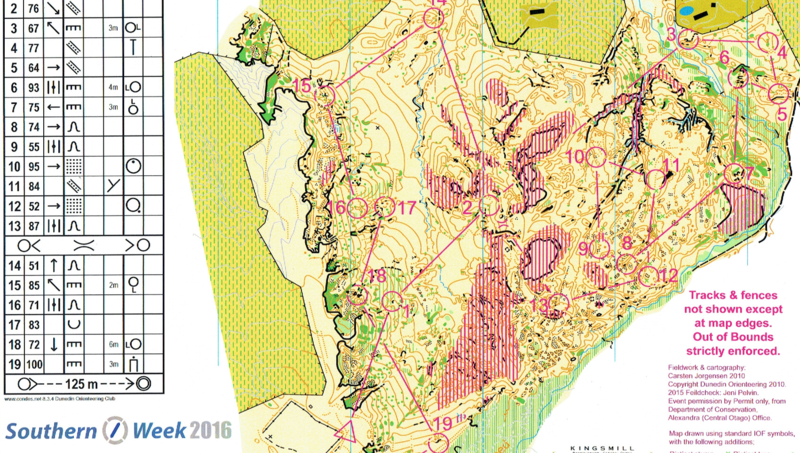 Southern Orienteering Week 2016 was a great success with up to 250 people competing in the events over the course of the week. It started on Monday 18th of January up in the newly mapped alpine terrain in the Matukituki Valley, though unfortunately the drizzle and low cloud hid the towering peaks from view. 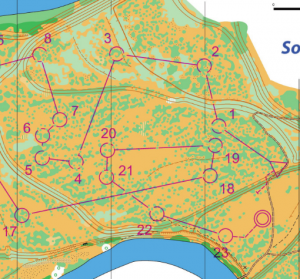 Fraser Mills did a great job both mapping and then planning and he made sure to design the courses so they went to all the most interesting corners of the map. 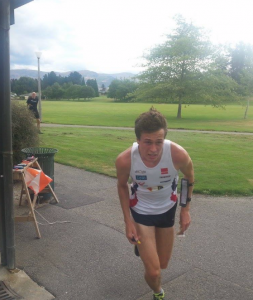 Chris Forne took the win on day 1 in the M21E class in 33:31mins, closely followed by Swedish Junior National Team runner and JWOC Bronze medallist Emil Granqvist 30secs behind. 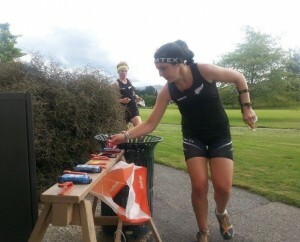 A number of overseas runners participated in SOW and it was great to give them a taste of some New Zealand Orienteering. In the end we had people from has far afield as France, Austria, Denmark, United Kingdom, Poland, Norway, Sweden and Germany. German based New Zealander Toby Scott placed 3rd on day 1, and on the women’s side Lizzie Ingham, Imogene Scott and Lara Prince took the podium positions, although Kayla Fairbairn running W20E won that grade in a time that would have placed her 3rd in the elite class as they were running the same course. Day 2 consisted of two races, a Chris Forne planned ‘middle distance’ which turned into more of a classic distance for some of the courses! 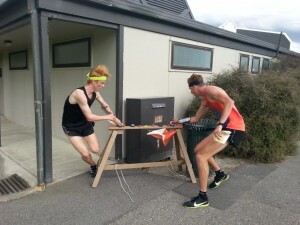 Emil Granqvist and French runner Theo Fleurent were 1st and 2nd ahead of all the Kiwis in M21E and Lizzie Ingham had another dominant win 6mins ahead of Georgia Whitla. The evening race took competitors around Wanaka Primary and Mt Aspiring College, with some technical courses planned by up and coming junior Scott Smith. Tim Robertson, 2015 Junior World Sprint Distance Champion showed his class cruising to a 40sec win even after not having run for a month due to shoulder surgery! After a well-deserved rest day, consisting of either exploring the local cafes or, for some who were still feeling a little too energetic, exploring the top of the Remarkables mountains, the racing continued in Cromwell with the exciting 4-person mass start sprint. The courses were planned so that everyone was split up early in the course so there wasn’t too much following. Again Tim Robertson proved why he is the JWOC Sprint winner this time extending his winning margin to 45secs. Tommy Hayes punching before Devon Beckman passed him in the finish chute! 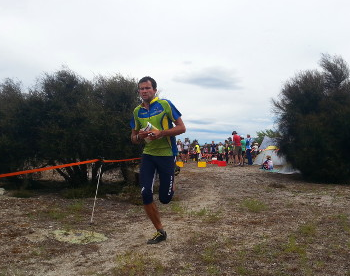 The weekend events on the Saturday and Sunday were hosted by Dunedin Orienteering and doubled as the 2016 Otago Championships. 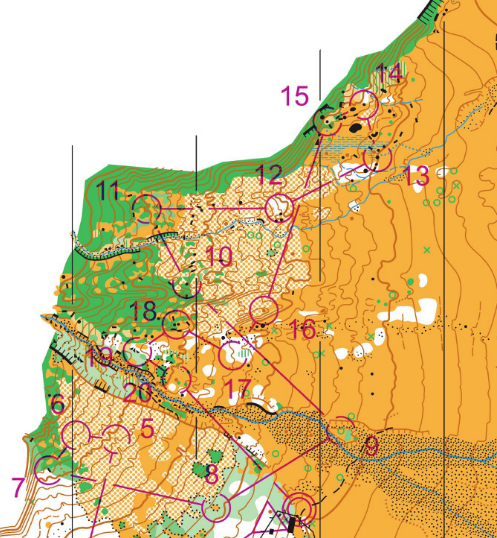 First up was the long distance on the superfast Butchers Dam map. As an indication of how fast it was women’s winner Lizzie Ingham raced round the 10.4km course in 1hr 7mins and men’s winner Nick Hann (who missed the first few races with a sprained ankle) completed his 14.6km and 600m climb course in 1hr 22mins. This was followed on Sunday by the last event at Bannockburn tailings in the historic goldmining terrain. 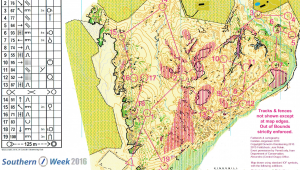 Unfortunately large parts of the map were out of bounds due to new DOC regulations, but Jeni and Craig Pelvin did a fantastic job working around these restrictions, however this may have been the last use of the map. Once again it was the Lizzie Ingham show in W21E followed by Lara Prince and Imogene Scott and in the men’s Gene Beveridge scored his first win of the week in front of Chris Forne and Nick Hann. Our on the day helpers, the Southerly Strom team, Dunedin Orienteering Club members as well as many people who just jumped in to help on the day when we were a bit short. Cliché but it couldn’t have happened without you all! Also thanks to Dunedin Orienteering for hosting the last two days, in particular to the planners and controllers for those events, Jeni and Craig Pelvin, Jim Cotter and Matt Bixley, as well as treasurer Myles Thayer who managed the entry payments. And to our other planners and controllers, Chris and Emily Forne, Scott Smith, Phil Wood and Joe Sheriff who all did a fantastic job. All the controls were in the right place so we must have been doing something right! Fraser Mills, mapping/website designing/planner/keeping everything together extraordinaire. We ended up with an event that was far beyond what was originally conceived, but it is testament to the work that Fraser put in over the course of the last year that we could pull it all together. In particular the mapping was a huge task with numerous 10+hr days in the lead-up to the event to get the maps finished, plus planning two of the events (or really three with the prologue and chasing start) on top of that. And to the rest of my family, Linda, Richard and Scott Smith, who once again went far beyond what should be asked of anyone, and put a huge amount of effort and energy into making it happen. And finally, thank you to all the competitors who came along and made the event such a huge success!